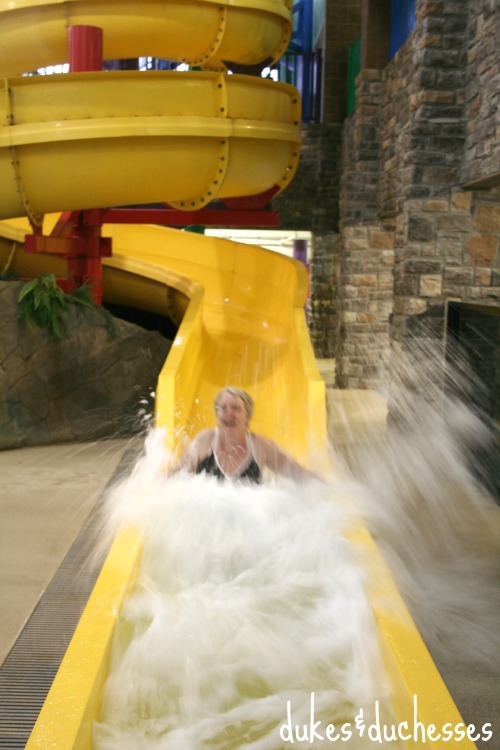 Remember a few months ago when I shared some information about Castle Rock Resort and Waterpark in Branson, Missouri? Well, now I get to tell you about it firsthand! 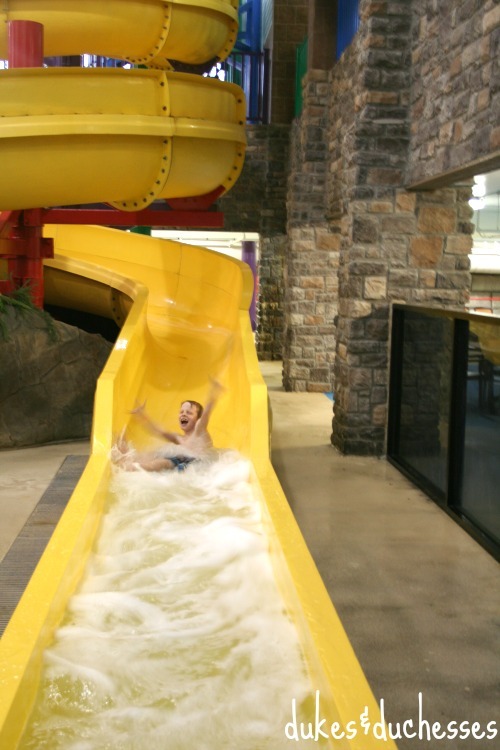 Our family spent the first weekend of the year in Branson, enjoying our stay at Castle Rock Resort, floating on tubes in the lazy river, and exploring the streets of Branson ... not a bad way to start a new year, huh? And see the falling flakes in the photo below? We left in the middle of a snowstorm, an adventure in itself for this southern family. 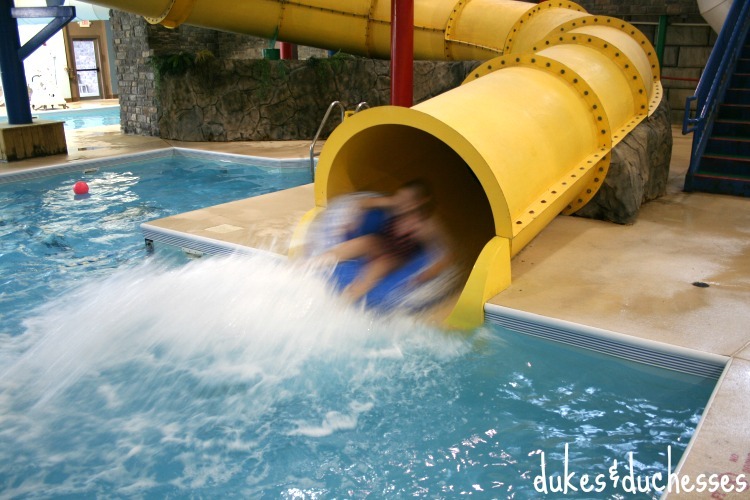 When we arrived in picturesque Branson, we checked into the Castle Rock Resort and Waterpark located right in the middle of the action in Branson. 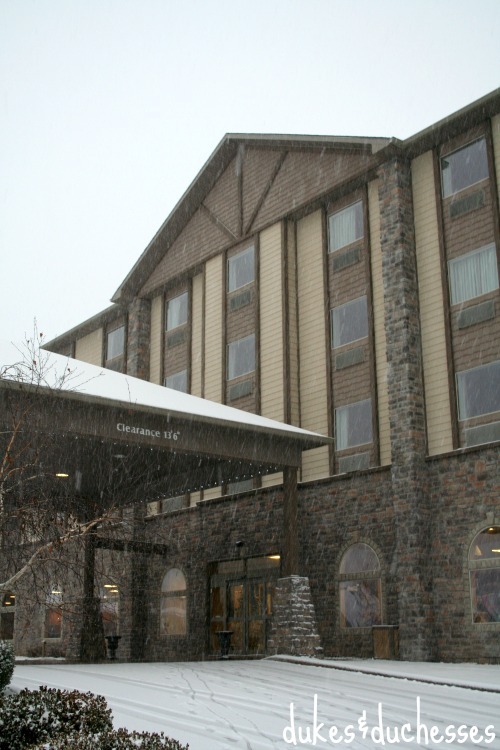 Our hotel was easy to find, offered free parking, and was a short drive from activities in the area. My three younger kids were so excited when they saw the room and realized they'd be sleeping in their own nook with bunk beds and a TV! 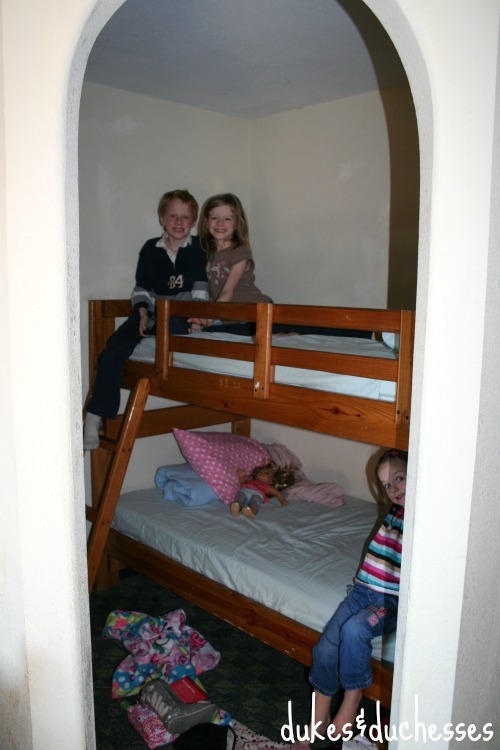 Good thing they're all small because all three of them insisted on sleeping in the nook! 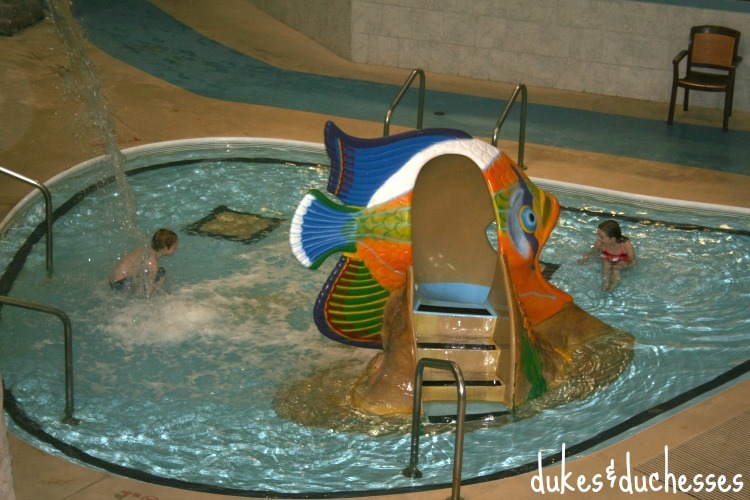 Once we settled in our room, we couldn't wait to check out the 30,000 square foot indoor waterpark! ... waterfall and rain tree in the waterpark. 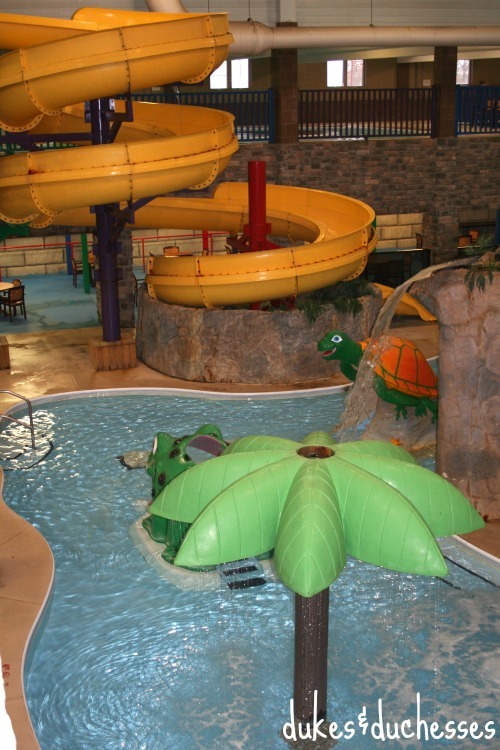 Despite the extremely chilly temperatures outside, the climate-controlled waterpark was completely comfortable even in wet swimsuits. 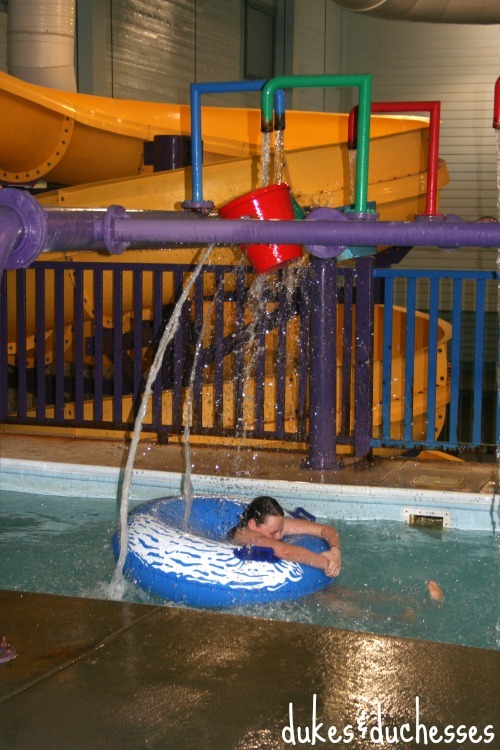 We floated on tubes many, many times around the 600-foot Lazy River, dodging the dumping buckets and spray hoses and trying to catch each other. There's something so relaxing about floating on a tube. ... and flying out at the end. I laughed every single time! 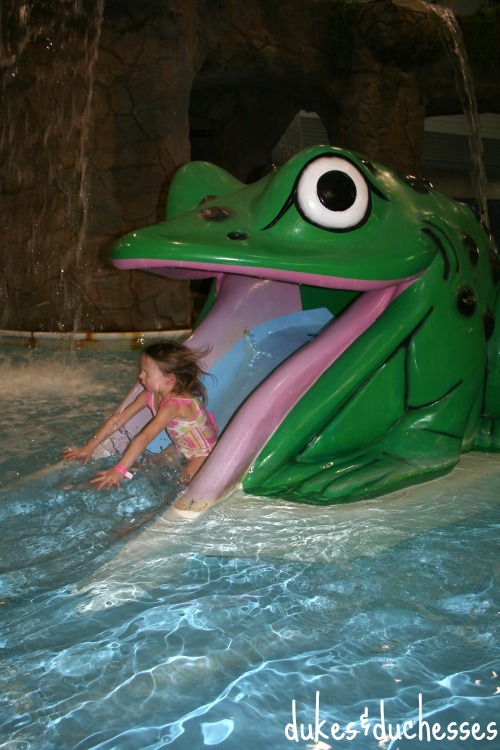 My older kids had a blast on the tube slide, dropping from the 30-foot high tower to the main floor splash pool, and we all had some great laughs watching family members get spit out at the bottom! 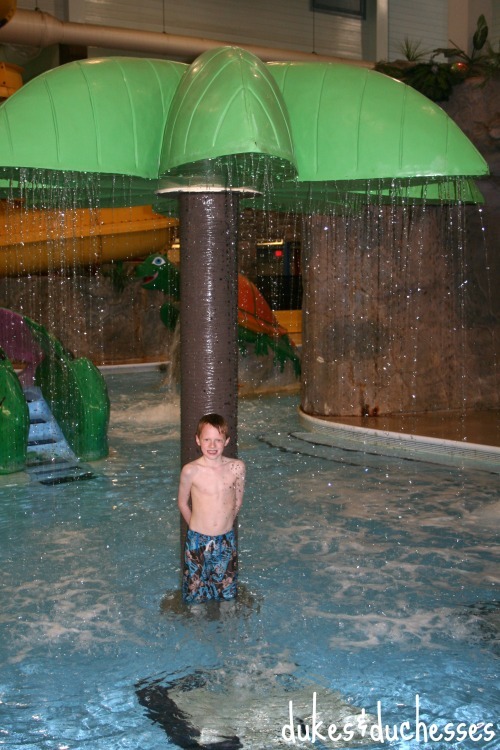 We all enjoyed a weekend of family play time and made such fun memories at Castle Rock Resort and Waterpark!